Dust on your sensor? Don’t just use a Swiffer or a can of compressed air. 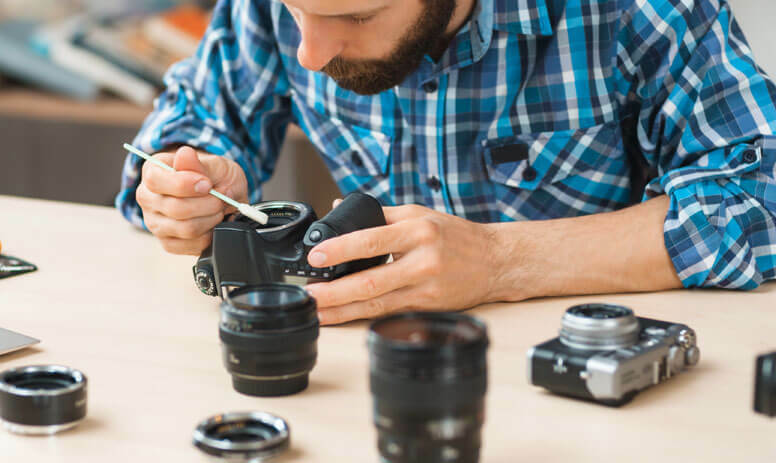 Bring your DSLR into the store and one of our staff can professionally clean your sensor, mirror and focus screen. We use nothing but the best cleaning swabs and solutions to make sure your sensor is free of dust specs. Please bring your camera in with a full battery and give us at least 30 minutes to complete the service.